Don’t we all love set lunches? 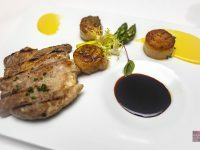 Check out the new set lunch menus at Nami, Restaurant Ibid, Atlas and Porta. 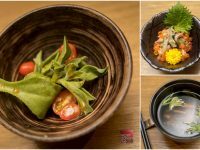 Even the Mitzo Dim Sum Set looks appetising. 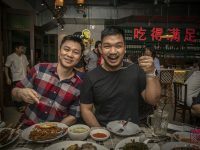 Nasi Campur with a shot of Whisky at Kota88? 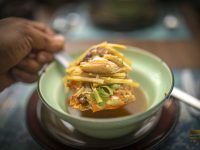 Kota88 Restaurant has opened in Siglap offering Chinese Indonesian cuisine with an extensive selection of beverages from classic alcoholic drinks to juices. 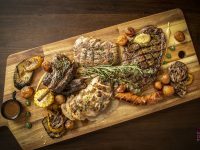 Enjoy a four-course Surf & Turf set menu at Gordon Grill in Goodwood Park Hotel Singapore till 14 October. Available for lunch on weekdays and dinner daily. Enjoy modern European dining, afternoon tea or a drink in the Mohamed Sultan area at House of MU while picking up teak furniture. 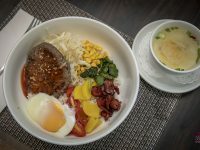 Six new Asian Rice Bowls available at White Rose Cafe till July 2018. We tried the Beef Donburi with Wafu Sauce and Healthy ‘Vegan-Licious’ Rice Bowls. Now you have more reasons to head over to Baba Chews Bar and Eatery in Katong. Enjoy a selection of seafood dishes for a limited time until 31 August 2018. 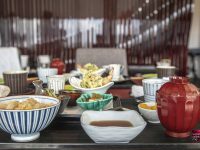 Enjoy Japanese fine dining cuisine in a relaxing Hokkai Vila where Executive Chef Thomas Kok dishes out great food & comes out to chat with patrons. 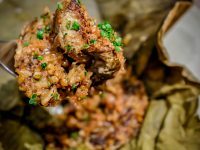 Our writer Cheryl visited Ibid by Chef Woo Wai Leong, the winner of the inaugural season of MasterChef Asia and shares some of her favourite dishes. Enjoy Korean fillings in western bread. 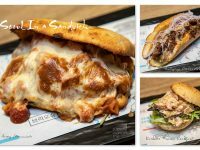 That’s the concept at Seoul in a Sandwich, a takeaway deli at basement 1 of the renovated Century Square. 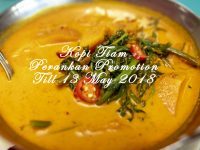 For a limited till 13 May 2018, KOPI TIAM at Swissotel The Stamford is offering Peranakan dishes as part of its promotional menu till 13 May 2018.